Maybe it has something to do with the season…but I’m not sure what’s become of my favorite hats. Even more unfortunate, my fave hat to date, the “hobo chic”, is missing as well. What a bummer. What’s the deal with disappearing knitting? And why don’t the crappy FOs off themselves? Do my favorite hats go to sock heaven, or is there a very special hat heaven? 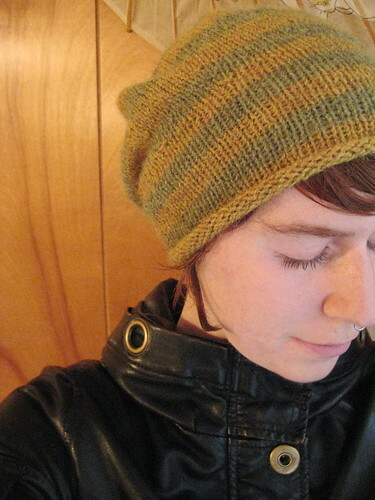 I’ll be giving up on my stripey hobo hat and knitting another in similar (but different) colors for the fall. And I won’t let it out of my sight. Posted in KnittingBookmark the permalink. oooo what pattern did you use for the hobo chic hat? 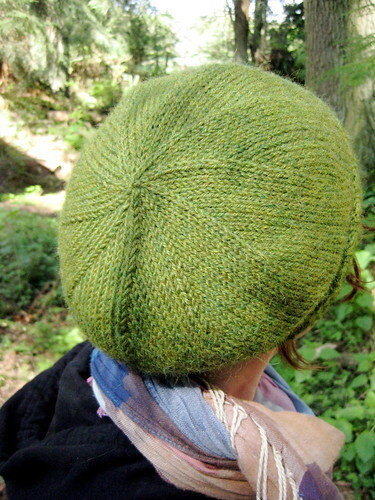 I’d love to make one to replace the slouchy hat I lost three years ago and STILL pine for.